It’s tempting to think that eating a variety of whole plant foods—the big picture or holistic approach—without attention to detail, is good enough for meeting nutrient needs. But that’s an approach based on philosophy, and there is no empirical evidence to back it up. And nutrition isn’t a philosophy; it’s a science. Which means that recommendations for vegans have to be based on scientifically-supported principles. It’s true that humans managed to eat a healthy diet long before nutrients were discovered. But that was through a process of trial and error, until the available foods and practices that supported health became cultural norms. We vegans don’t have that advantage because our “culture” is fairly new. We’re still working things out, and have no historical blueprint to guide us. 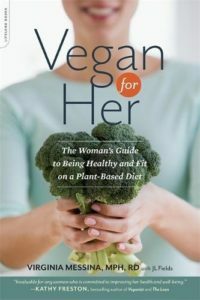 We can look to many of the world’s plant-based diets for some ideas, but since none of those diets are vegan, we’re still pretty much on our own. Fortunately, we do have nutrition science, which is a huge advantage. Food is more than the sum of its parts, that’s for certain. But some of the parts—vitamins and minerals—are essential to life and health (not just good for you, but absolutely necessary) and they deserve to be singled out for consideration. 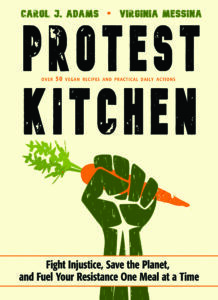 We need to establish a few “rules” on how to meet needs for them as a way of creating a healthy vegan cultural diet. Once in a while, I hear from vegans who are unhappy because they don’t think they should need to worry about whether they are absorbing enough iron in their diet or getting adequate calcium or eating enough legumes every day. I understand that it’s annoying to have to bother about these things—but I’m not sure why they think it’s my fault. I really can’t take responsibility or blame for the nutritional requirements of humans. I can only look at what humans need based on the most current research, look at what plant foods provide, and then do my best to match them up. And fortunately, it’s not that difficult to do so. The food guide on this site sums up the basics. 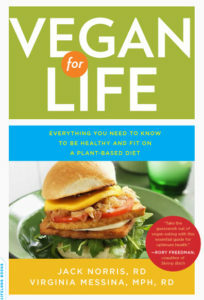 It’s based on the information in Vegan for Life and is adapted from a food guide that was published in the Journal of the American Dietetic Association and that I created with Vesanto Melina (co-author of Becoming Vegan) and Reed Mangels (author of Simply Vegan and The Everything Vegan Pregnancy Book). Yes, following it might feel a little more inconvenient than simply “eating a variety of whole plant foods.” But for most people, after paying attention for a little while, eating this way should become sort of second nature. And hopefully, someday we’ll have a world where this is just the way people eat—a part of a culture that no one thinks twice about. No disrespect to anyone, but unless they are completely new to vegan diets, I think the people who are complaining about the complexity are simply lazy or they have something else wrong with them. There just isn’t that much to know and do. 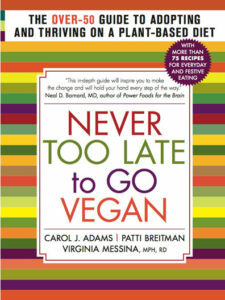 Jack Norris’ Daily Recommendations for Vegan Adults almost fits on ONE PAGE,, hardly a deluge of information. Most of those items would be things that carnists who care about their health would have to do anyway. When I eat mostly whole food meals based on legumes, whole grains and produce I knock off most of those checklist items without even thinking about it. When I eat vegan processed foods like fortified soymilk with a healthy cold cereal or fortified tofu I often exceed those recommendations. There just isn’t a whole lot of effort involved in doing it right. At the time of a national disaster, following much gripping about too much government, the president was severely criticized for the government doing too little. At the time I was parenting two 17-year-olds who wanted me out of their business until their business got them in trouble. Then it was MOMMMMMY! We are basically a country of 300 million “teenagers” who have not quite learned to accept the consequences for our own choices and demand bailouts when Mommy’s advice is flagrantly disregarded. But like my own teens did, I am optimistic that we will outgrow this stage. But meanwhile, I can relate to your frustration. Like beforewisdom stated above: there’s really not a whole lot of effort involved here!! i find it sad that i have to issue disclaimers when i screen forks over knives for friends and family. 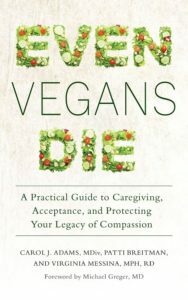 vegans desperately need to become more evidence-based and less “woo”-based. what you and jack do is an incredible service to the vegan community.